Michael Easter's secret is simple: he weighed his food to get a sense of how much he can eat to maintain a healthy weight. And it worked. Journalism professor Michael Easter is weighing new eating habits. The 6’1" tall Las Vegas resident was hardly overweight at 185 lbs. But Easter, who spends his mornings running the canyon trails outside the city, was suffering from knee pain, and thought losing a few pounds would make running less stressful. After getting advice from a nutritionist, Easter began weighing his food to get an accurate idea of how many calories he was eating. He was surprised to discover it was a lot more than he realized. So here I was thinking I’m eating 200 calories, but I’m really eating 600. “I had the same lunch every day and it was a protein shake with an apple and peanut butter and it’s like, ‘Oh that’s totally a healthy lunch — this is a great lunch.' But when I weighed peanut butter for the first time I was taking like three servings and I thought it was only one,” Easter told NBC News Better. “So here I was thinking I’m eating 200 calories, but I’m really eating 600,” he said. 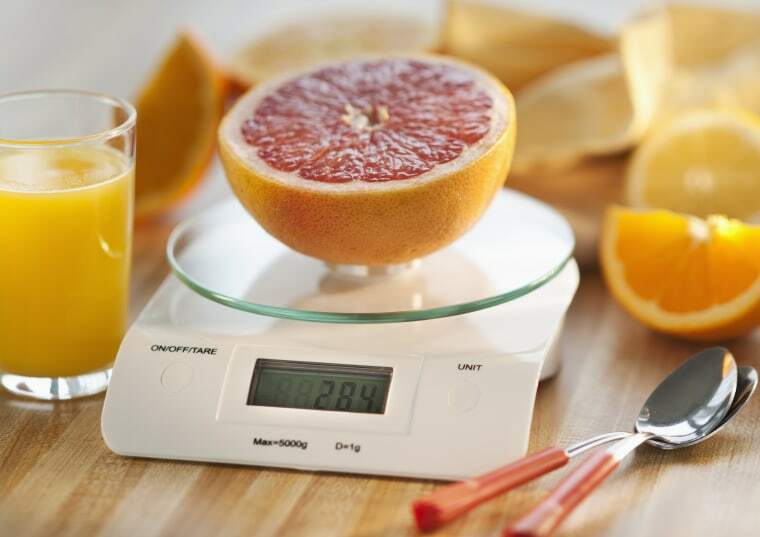 Using a small kitchen scale he purchased for $14, Easter weighed all his food, from the cream in his morning coffee to the chicken he ate at dinner. He input the weight into the MyFitnessPal app on his phone, which calculated the exact number of calories in the food. Easter realized he previously didn’t have an accurate understanding of the portion sizes he was eating, especially when it came to calorie-dense foods. He said weighing his food helped him see that the snacks he ate between meals were adding unnecessary calories too. To lose weight, Easter cut his calories to 2,500 a day. He developed easy go-to meals for breakfast and lunch that made the process easier. “There were definitely days where I resented that scale and I wanted to throw it on the ground, but to make things easier I would tend to fall into patterns and eat the same thing every day,” he says. The 30-year-old found that sticking to meats, vegetables, potatoes and nuts helped him feel full throughout the day. He said potatoes in particular helped him stay satisfied. “Most nights when I’m home weeknights I’ll usually do potatoes with chicken and some vegetables and then I’ll put sour cream on the potatoes and stuff like that, but now I just know don’t take too much [sour cream] because those kinds of fats are calorie dense,” he says. Easter dropped 10 pounds in about 3 months. He said that weighing all of his meals is no longer necessary. But he has a much better understanding of what and how much he can eat to prevent the weight from coming back. I found a sweet spot for how much I should eat. Easter feels better after shedding the extra weight. “I don’t have aches and pains that come along with running just because it’s a lot less force going to your joints when you lose 10 lbs,” he says. The professor believes everyone can benefit from weighing their food. “I think there is a lot you can learn about how much you eat and some of your eating patterns by just tracking it for a week and the scale lets you really track it,” he says. Weigh all your food and input the results into a calorie tracking app like MyFitnessPal app. This will tell you the real number of calories you are consuming. Unhealthy foods will cost you calories. Healthier foods like meats, poultry, fish, nuts, vegetables, fruits and especially potatoes will help you feel full throughout the day. Creating go-to meals will establish a healthy eating pattern and save you time.